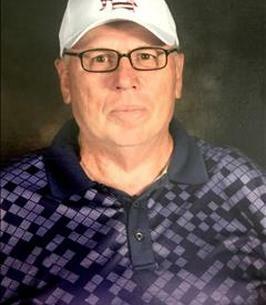 William Ronald Breese, age 64, passed away on Thursday, September 20, 2018, at his home in Stillwater, Oklahoma. A memorial service will be held on Thursday, September 27, 2018, at 10:00 a.m. at the First United Methodist Church of Stillwater, with Rev. Mike Chaffin presiding. Strode Funeral Home is in charge of arrangements. He was born July 7, 1954, in Peoria, Illinois to Robert and Rosemary (Ryan) Breese. On May 30, 1987, he married Clarita Gaye Breese in Ft. Sill, Oklahoma. William Breese attended Western Illinois University where he received his B.A. in Agriculture Communications. He went on to earn his M.B.A. from Oklahoma City University. After Bill graduated from college, he was in the work force many years before enlisting in the Army in January of 1984. He served until March 2004. In his 20+ years career with the United States Army, he was stationed in Germany twice, Korea twice, Ft. Sill numerous times. His final duty station included combat in Operation Iraqi Freedom in 2003. He took extreme pride in his service to our country. He retired at the rank of Sergeant First Class/E-7. Recently, Bill was a Veteran’s Representative for Oklahoma Employment Security Commission. Bill fulfilled his love for sports by being a referee and umpire in his off time. 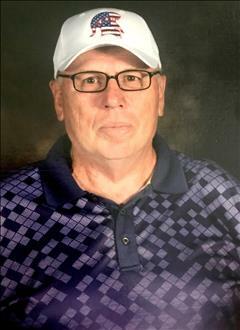 He was a member of the Stillwater Chamber of Commerce, American Legion, and the VFW Post 2027. As a member of the First United Methodist Church of Stillwater, he was able to travel on mission trips to serve the people of Bolivia, South America. Bill was preceded in death by his parents, Robert and Rosemary (Ryan) Breese. He is survived by wife, Clarita, of Stillwater; sons, Clay Bergman of Seattle, WA, and Grant and Marcy of Prosper, TX; grandchildren, Brady Anderson, Addyson Bergman, and Gray Bergman; and 8 siblings, Michael Breese, Steve Breese, Mary Breese, Jinx Thorne, Martha Breese, Theresa Strode, Jim Breese, Tom Breese and their families. Condolences may be sent to the family and an online obituary viewed by visiting www.strode fh.com. To send flowers to the family of William Ronald Breese, please visit our Heartfelt Sympathies Store. So sorry for your loss. What a life well lived. We send our most sincere condolences to all of Bill's family. Bill served our country so diligently, and we will ever be appreciative of the service that he offered so willingly. May God surround all of your family is his loving care through the difficult days ahead and may he lead you to a peace that will endure for eternity. Our sincere condolences to Clarita and the rest of Bill's family. We were deeply saddened to hear of Bill's passing. He was always so good to us, from the time we bought the house on Hoppy, the times he "doggy-sat" our dogs when we were on vacation, to his concern about the events in the neighborhood. Truly an impressive human being. Bill was truly one of the good guys. A passionate Ambassador, Veteran , Cowboy Fan, and Friend. Grant, my thoughts and prayers are with you and your family. Please know that your Reedy High School family is in your corner. Whatever you need! Our deepest condolences to Bill's family and all those who loved him. He was a great friend to us here at KUSH Radio in Cushing and to the entire community. Bill was passionate about helping others - especially veterans. He will be missed by all of us. My deepest condolences to William’s family and friends and others who will miss him. It is hard to lose a loved one for we were made with the desire to live forever. In the near future God promises that our “last enemy death is to be brought to nothing” 1 Corinthians 15:26. When that day comes we will be reunited with our loved ones like William and will not have to worry no more. Till then hold on to the wonderful memories of William and seek God for comfort, he will not abandon you.